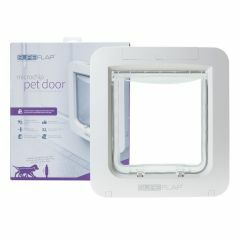 SureFlap Microchip Pet Door is larger than SureFlap Microchip Cat Flap, is designed for large cats and small dogs and helps keep intruders out of your home. 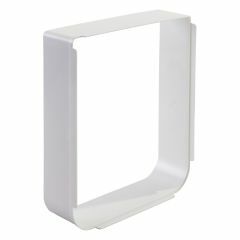 The SureFlap Pet Door Mount Adaptor is required for glass installations and can be used with the SureFlap Microchip Pet Door and the Microchip Pet Door Connect. 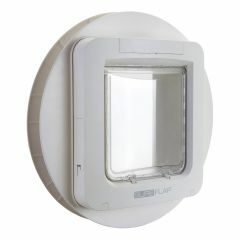 SureFlap Pet Door Tunnel Extenders can be stacked together to create a longer approach tunnel to the SureFlap Microchip Pet Door or the Microchip Pet Door Connect when it is installed in a wall.